Adelie penguins (Pygoscelis adeliae) on Palmer Island Station in Antarctica. Greg Bourne, former CEO of WWF-Australia (2004-2010), took a trip to Antarctica, from Ushuaia returning to Ushuaia passing through Drake Passage, Gerlache Strait, Waterboat Point, Hovgaard Island and Palmer Island Station to see first hand the effect of climate change on the region. A colony of over 18,000 pairs of Adélie penguins in Terre Adélie, Antarctica, suffered a catastrophic breeding failure at the start of 2017 with only two chicks surviving. WWF is demanding greater protections of the waters off East Antarctica next week at a crucial international meeting in Hobart, Australia where proposals for a new Marine Protected Area (MPA) will be considered. Surviving mostly on a diet of krill, a small shrimp like crustacean, Adélie penguins are generally faring well in East Antarctica, but declining in the Antarctic peninsula region where climate change is well established. However, this significant breeding failure at this particular colony in East Antarctica has been linked to unusually extensive sea ice late in the summer, meaning the adult penguins had to travel further to forage for food for their chicks. As a result the chicks starved. The Commission for the Conservation of Antarctic Marine Living Resources (CCAMLR), comprising 25 member states and the EU, are meeting on the 16th October 2017 in Hobart, where they will consider a proposal for a new Marine Protected Area (MPA) for the waters off East Antarctica. The proposal for an MPA, led by Australia and France with the EU, has been on the table at CCAMLR for eight years but has yet to be agreed. Nevertheless, expectations are running high as last year CCAMLR adopted the Ross Sea MPA, the largest protected area in the world. An MPA would help to secure a future for the amazing wildlife and marine biodiversity of East Antarctica, including Adélie and emperor penguins. Four years ago, the same colony which numbered 20,196 pairs at the time, failed to produce a single chick. Again heavy sea ice, combined with unusually warm weather and rain, followed by a rapid drop in temperature, resulted in many chicks becoming saturated and freezing to death. WWF has been supporting penguin research by French scientists working for the French National Center for Scientific Research (CNRS) in the region since 2010. Rod Downie, Head of Polar Programmes at WWF said: “Adélie penguins are one of the hardiest and most amazing animals on our planet. This devastating event contrasts with the image that many people might have of penguins. It’s more like ‘Tarantino does Happy Feet’, with dead penguin chicks strewn across a beach in Adélie Land. ‘The risk of opening up this area to exploratory krill fisheries, which would compete with the Adélie penguins for food as they recover from two catastrophic breeding failures in four years, is unthinkable. So CCAMLR needs to act now by adopting a new Marine Protected Area for the waters off East Antarctica, to protect the home of the penguins”. The MPA proposal originally comprised seven large marine areas off the coast of East Antarctica but subsequently reduced to four. However, it is anticipated that only three of those (MacRobertson, Drygalski, and the D’Urville Sea-Mertz region, where the Petrel Island Adélie colony is located) will be adopted this year. The D’Urville Sea Mertz region in particular needs to be set aside as off limits to krill fisheries in order to protect the foraging and breeding grounds of Adélie penguins. WWF expects the other four areas, comprising Gunnerus, Enderby, Prydz Bay, and Wilkes to be brought back in front of CCAMLR in future years. “The region is impacted by environmental changes that are linked to the breakup of the Mertz glacier since 2010. An MPA will not remedy these changes but it could prevent further impacts that direct anthropogenic pressures, such as tourism and proposed fisheries, could bring”. 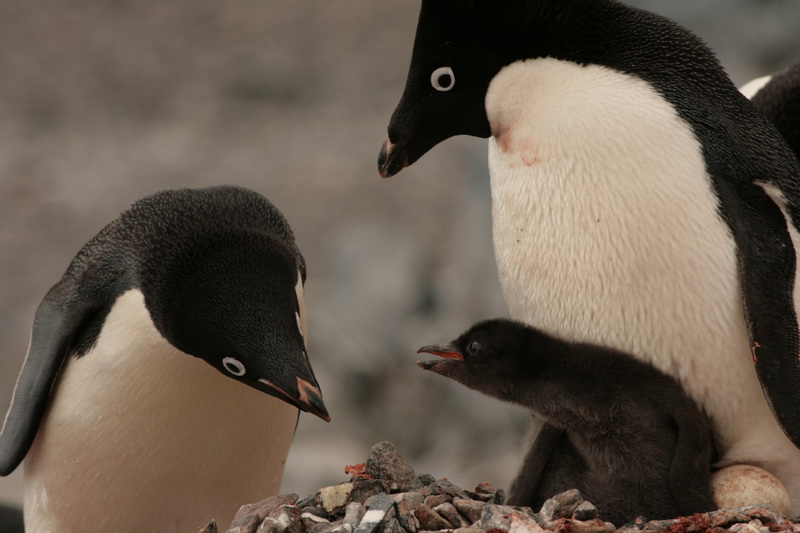 “The death of so many Adélie penguin chicks shows just how tough life can be in Antarctica. “The last thing these penguins need is more pressure. “That’s why it’s crucial CCAMLR locks in an MPA in East Antarctica to help secure a future for Adélie penguins and all the other amazing wildlife and marine biodiversity. “After CCAMLR adopted the Ross Sea MPA last year, expectations are running high for another significant achievement this year”.